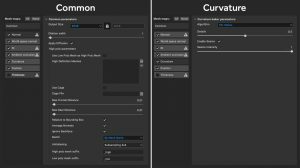 Creating textures in Substance Painter and bringing them into Corona for Cinema 4D is not such a straightforward process. 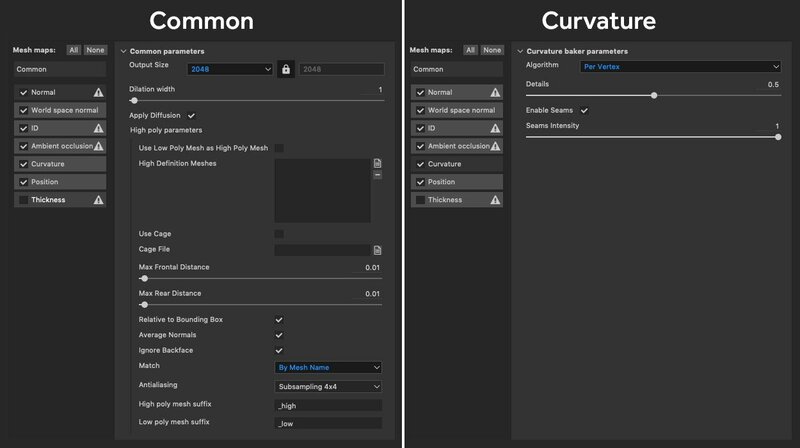 This tutorial will hopefully clear up some of the confusion that comes along with mapping the proper texture maps into their respective slots inside Corona. 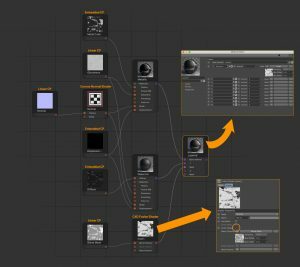 This tutorial won’t focus on building an entire texture from start to finish inside Substance Painter. We’ll just drop a pre-built “smart” texture onto a 3D model and export the corresponding texture maps. We’ll be using a scratched metal material used on a hard surface model. 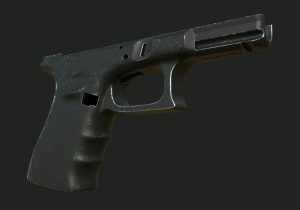 A lot of game companies use Substance Painter to build their textures for 3D models. Because of this, Substance can use a low res mesh, and a high-res mesh for painting. The low-res mesh would be what you would paint on inside Substance. The high-res mesh is used to bake out the proper normal map information. 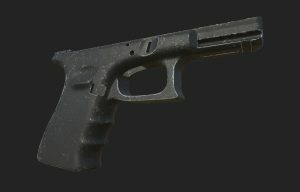 So if you were to use your model in a game, it would look like you’re using a high-res mesh, but it’s actually just a low poly model in order for the game to optimize performance. Since I’m not using my model as a game asset, I’m just going to use a high-res version inside Substance Painter. However, I’ll explain how to use the low-res version as well. In order for textures to show up properly inside Substance Painter, the model needs to be UVW unwrapped. 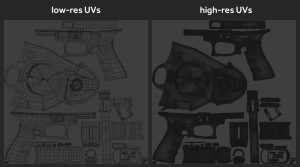 I highly recommend RizomUV Virtual Spaces to unwrap your model. You can definitely use the tools within Cinema 4D, but they are a bit dated. Once you use RizomUV, you’ll find it’s a much easier/quicker experience. 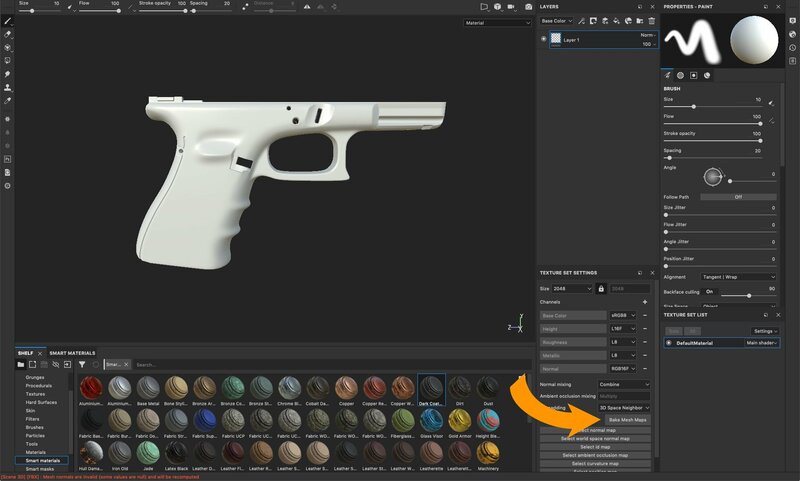 With Substance Painter open, choose File → New. 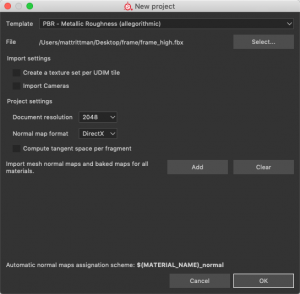 For the template choose PBR – Metallic Roughness (allegorithmic). Corona actually uses the Specular Glossiness workflow, but the maps exported from Substance will work just fine. For the file, select your model you exported from Cinema 4D. If you’re using your model as a game asset, select the low-res mesh. Otherwise, just use the high-res mesh. 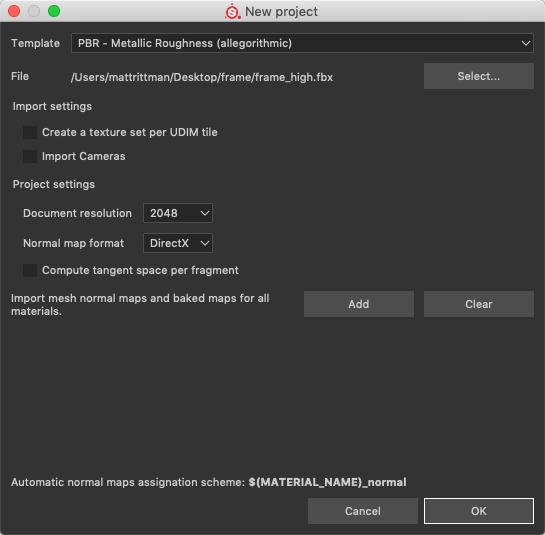 For the Document resolution, choose 2048 (this can be increased when exporting your maps without compromising quality). It may take minute or two to bake the maps. Higher antialiasing settings will increase the time it takes to bake the maps. If you do not need displacement, you can ignore this section. Delete the Displacement.png file. 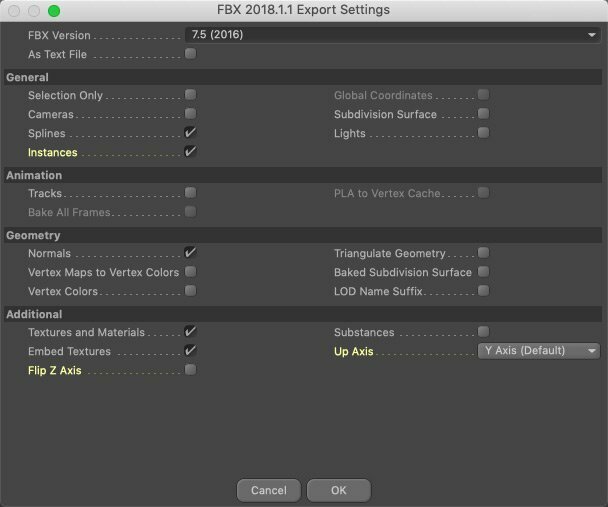 Bring up the Export Textures dialog again, but this time, set the file type to exr. 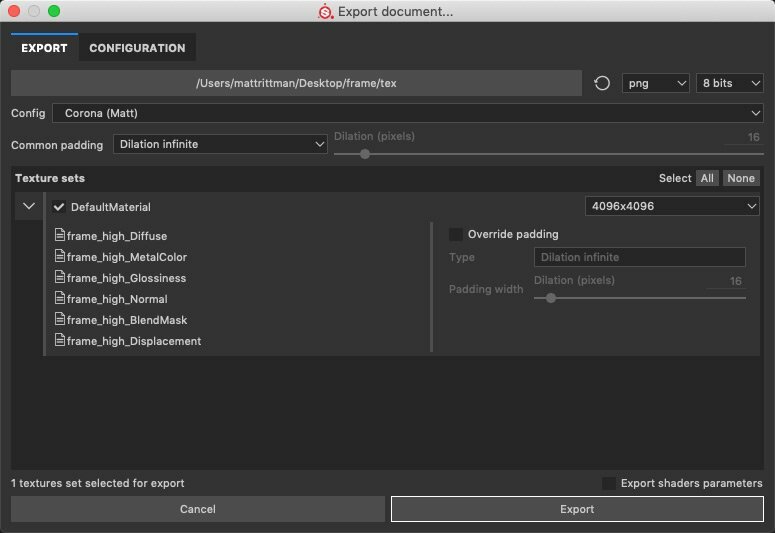 Export your maps into a separate directory, and delete all of them except for Displacement.exr. 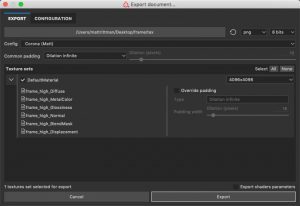 Hopefully in the future, Substance Painter will have the ability to export different file types for certain maps. The other workaround is creating a separate Corona export preset with just the displacement map. 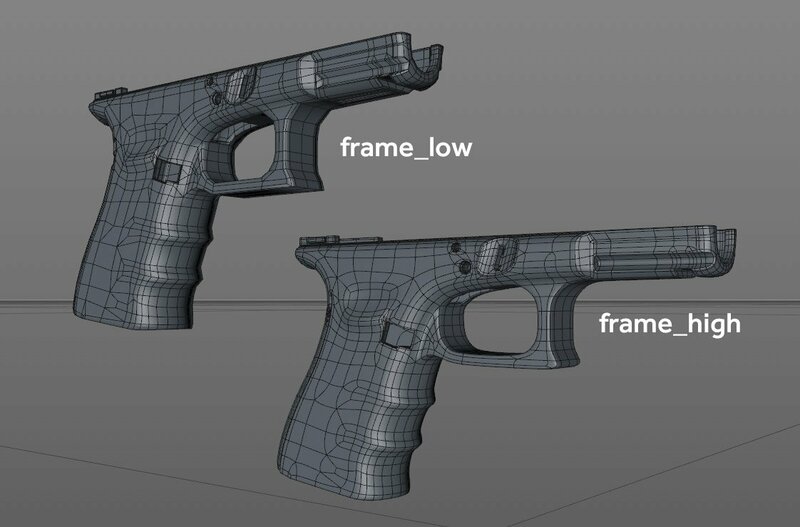 *Please note that displacement will not work with Corona if there is more than one texture tag applied to an object. 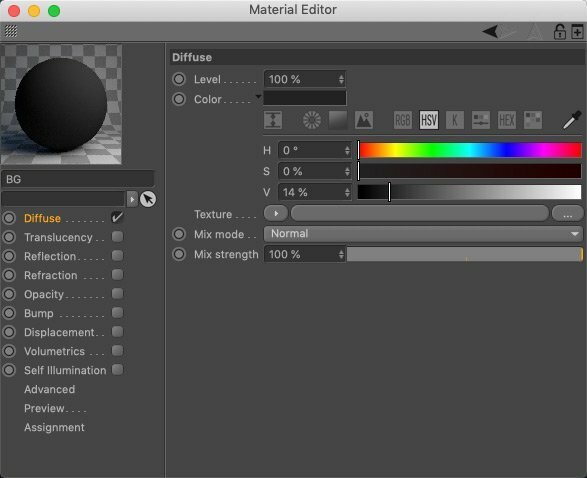 We are finally ready to create our Corona materials inside Cinema 4D! Start by importing your high-res mesh inside Cinema. Create two Sky objects. One will be used as the background of our scene, and the other will be used as the actual lighting for our scene. 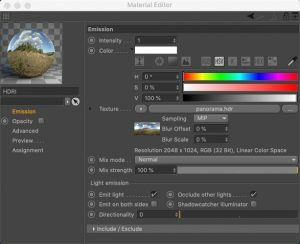 Create Corona Compositing tags for both BG and HDRI objects. For the BG tag, uncheck everything, except for Seen by camera. For the HDRI compositing tag, check all except for Seen by camera. 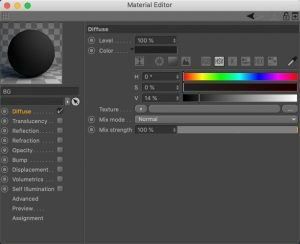 Start by creating a Corona Layered Material. We’ll set this up later in the Node Editor. We now need to create separate Metallic and Dialectric materials and use our Blend Mask to blend between the two on our Layered material. So create two new standard Corona materials. Name one Metallic, and the other Dialectric. A dialectric material is basically the non-metallic portions of our texure. In my case, the black portion that doesn’t reflect anything. The metallic portions are all the scratched areas that are reflective. Corona can’t do both of these in one material, hence the need to create a Layered Material and use a mask to blend between them. In the Metallic material, only enable Reflection, Bump, and Displacement (if you used displacement). Under the Reflection channel, choose our MetalColor.png for the Texture. 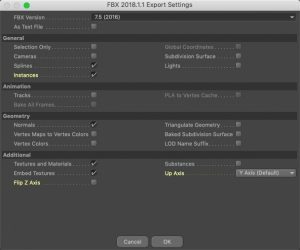 Make sure the Color profile is set to Embedded. Any place we use a texture map (exported from Substance), I use a Corona bitmap shader. I’m not completely sure if it matters, but I’ve been told materials render quicker this way. Set the Fresnel IOR value to 999. This makes the material 100% reflective. In the Bump channel set the Strength to 100%. If you have a Displacement texture, set the Min level to 0 and Max level to 2.5. 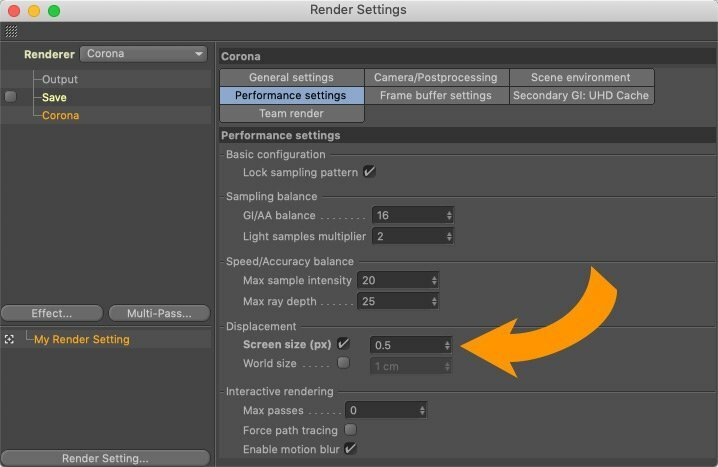 You may need to play with the displacement settings in the Corona Render Settings dialog. It can be found under the Performance settings tab. In the Metallic material editor, only enable Diffuse, Reflection, Bump, and Displacement (if you used displacement). Under the Diffuse channel, choose our Diffuse.png for the texture. Make sure Color profile is set to Embedded. Under the Bump channel, set the Strength to 100%. Under the Displacement channel, set the Min level to 0 and Max level to 2.5. I labeled each of the bitmaps with the color profile that should be used. Color/Diffuse textures in most cases must be loaded with embedded (sRGB) gamma. Glossiness, IOR, displacement, bump, anisotropy should always be loaded in linear. In some cases the gamma may need to be corrected by adjusting it to 0.4545 via a Cinema Filter Shader. If the map represents color that you can see (diffuse reflected color), such as the color tint of a metal or the green color of grass, then it should be interpreted as sRGB. If the map represents surface attribute data, such as roughness, glossiness, metallic and height, then it should be interpreted as linear. As always, feel free to shoot me an email if you have any questions! Thank you for the tut – I will try apply something on vrayc4d. 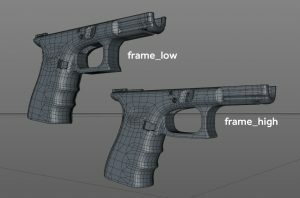 Yet, is it possible you have vray too and try do a similar tutorial for us nubs ? I found none over the internet. 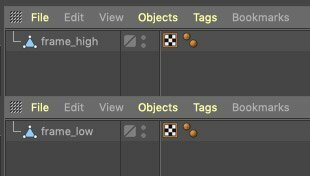 Also I do not understand very well all the channels so I do not know if the vray convert is doing what it should be or not. Hi Matt, just tested out the workflow, and it solves all the issues I’ve had with getting substance and Corona to work together. Thanks!